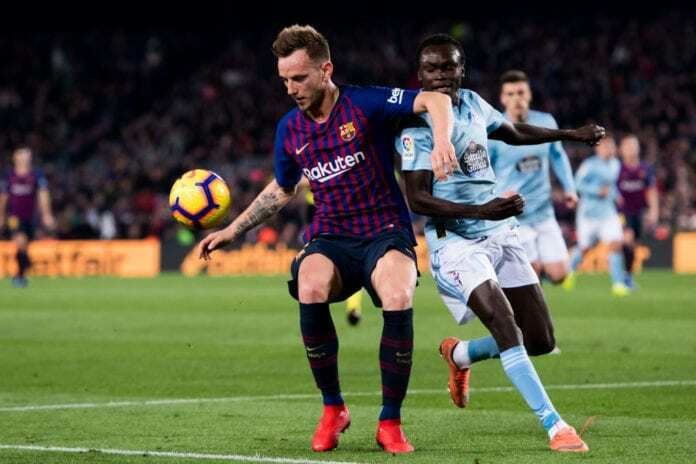 Barcelona midfielder Ivan Rakitic feels his side played well enough to secure a win against Valencia at the Camp Nou, despite the game ending in a stalemate. The 2-2 draw against Marcelino’s men ended the club’s eight-game winning streak in the League and could only stretch their lead to six points above Atletico Madrid. Two goals for Lionel Messi helped Barcelona to fight back, after falling 2-0 behind after 35 minutes, but the Croatian international believes they had the chances to collect all three points. “We surely deserved to win. We played a much better game than Valencia. 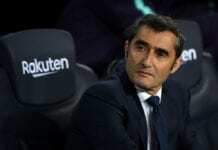 He revealed in a quote cited on Football Espana. “Maybe in the first half we did not play that well, but in the second half we dominated, and at times we were almost playing handball around their area. Atletico Madrid will be hoping to reduce the gap to three points when they face Real Betis on Sunday. Real Madrid could also be in the mix for the title if they maintain a winning form for the rest of the campaign. Barcelona host Real Madrid in the Copa del Rey semi-final on Wednesday night, and Messi and defender Gerard Pique are doubtful after picking up injuries in the Valencia tie.